Yes. No way a nationwide manditory vaccine will go down if this is the majority mindset. This is the most Conservative MSM Newspaper in the Netherlands! Wait...hold the phone...Let's pinpoint the different vaccine production methods, find out what they're using to make the swine flu, THEN find out if the adjuvants will be used in them or not. The NWO is gonna try to turn this into a reaction so that they can bring in something even worse and say it's better--because it takes longer for adverse events to show up--, by putting adjuvants in and saying "no, we fixed it. it's fine now"
Enough with flying by the seat of our pants on this stuff, already! We're waking up the majority, which is great ; Now, we have to really get into the documentation, research, and actual results of previous clinical trials with Vero Cell and other cloning technology involving making vaccines using animal/fetal tissues, specifically AGM, and with adjuvants used and their components. The World Health Organizationâ€™s Ad Hoc Policy Advisory Working Group on Influenza A (H1N1) Vaccines issued an update on May 18, 2009, on the production status of seasonal and A (H1NI) vaccines. Also, GlaxoSmithKline (GSK, London) outlined its progress in making an influenza A (H1N1) vaccine using its proprietary AS03 adjuvant system. A review of 2009 production status for the Northern Hemisphere seasonal vaccine indicates that the industry plans to produce approximately 480 million doses of trivalent seasonal vaccine in 2009, according to a statement by the World Health Organization Working Group. Of this amount, 350 million and 430 million doses will be available by June 30 and July 31, 2009, respectively. For influenza A (H1N1), it is estimated that up to 4.9 billion doses could be produced over a 12-month period after the initiation of full-scale production if there is a vaccine yield equivalent to that routinely obtained for seasonal vaccine and if the most dose-sparing formulations are used. In this situation, there is potential access for the United Nations of up to 400 million doses. In making these assessments, the WHO Working Group reviewed the current status of preparation of candidate vaccine viruses and said these will likely become available at the end of May 2009. Distribution of these vaccine viruses to vaccine manufacturers may need to be delayed by a further one to two weeks to allow assessment of their attenuation characteristics in appropriate animal models. Typically, one to two additional months are needed by manufacturers after they receive vaccine viruses to isolate rapid growing strains to maximum yield. Based on these considerations, the WHO Working Group said that vaccine manufacturers would not be ready to switch to large-scale production before mid-July 2009 and that moving into production now could potentially result in starting vaccine production with strains of lower growth potential and potentially could reduce global supplies of an A (H1N1) vaccine. The WHO Working Group also emphasized that a possible declaration of pandemic influenza alert to Phase 6 does not automatically mean that WHO would recommend that manufacturers switch from seasonal to influenza A (H1N1) vaccine production. As of May 18, 2009, the pandemic status alert was still at Phase 5. GSK reported on May 15 that it expects to manufacture a candidate A (H1N1) adjuvanted influenza vaccine once a virus seed is made available by WHO. The first doses of the vaccine are expected to be available four to six months later, subject to regulatory approval. The vaccine will consist of the antigen of the recently isolated A (H1N1) influenza strain and also contain GSK's proprietary adjuvant system AS03. An adjuvant system is added to the antigen at the time of administration to stimulate a higher immune response while using a smaller amount of antigen as compared with a formulation without adjuvant. The new candidate vaccine will require regulatory approval. In 2008, GSK received an European license for a pandemic vaccine based on a mock-up dossier. This approval, which was based on data involving the H5N1 influenza strain, is expected to enable faster registration of a new A (H1N1) influenza vaccine and is currently being discussed with European regulatory authorities, according to GSK. GSK has received interest from several governments seeking to stockpile the new candidate adjuvanted vaccine. The UK government is interested in purchasing 60 million doses of the candidate A (H1N1) adjuvanted influenza vaccine, the French government 50 million doses, and the Belgium government 12.6 million doses. GSK will supply the Finnish government with 5.3 million doses of H1N1 antigen, which is expected to be used in conjunction with the governmentâ€™s existing stockpile of GSKâ€™s adjuvant system. In addition to its agreement with GSK, the UK Department of Health has an agreement with Baxter International (Deerfield, IL). The UK Department of Health reported last week that it has agreements with GSK and Baxter International for up to 90 million doses of prepandemic H1N1 vaccine. If a pandemic is declared, advance supply agreements signed by the UK Government with GSK and Baxter in July 2007 will enable the UK to purchase up to 132 million doses of pandemic-specific vaccine, when it becomes available. As part of the companyâ€™s commitment to maximizing global manufacturing capacity of a pandemic vaccine, GSK says it is ready to engage in discussions with companies and governmental agencies that can combine the adjuvant system with alternatively sourced antigen. GSK also said it will convert its intended donation to WHO of 50 million doses of H5N1 prepandemic vaccine to the new candidate A (H1N1) adjuvanted influenza vaccine once production begins. In the future, as capacity increases, GSK will supply the candidate A (H1N1) adjuvanted influenza vaccine to developing countries under a tiered-pricing policy based on World Bank classifications and eligibility with the Global Alliance for Vaccines and Immunization, a private-public partnership to promote immunization by vaccines. GSK will continue to produce its seasonal influenza vaccine for the 2009â€“2010 Northern Hemisphere influenza season as planned and expects to complete production of this vaccine by the end of July. The company also continues to supply seasonal vaccine for use in the Southern Hemisphere as it enters the winter season this year. Baxter International reported on May 7 that it is in contact with WHO and other agencies regarding the current A (H1N1) influenza outbreak. Using its Vero cell technology, Baxter has received European Medicines Agency (EMEA) approval for a mock-up pandemic vaccine, Celvapan. The qualification, development, and manufacturing processes used in gaining mockup licensure for Celvapan will apply as the company uses this new influenza A (H1N1) virus strain to develop a pandemic vaccine. The Celvapan EMEA licensure allows for fast-track approval of a pandemic vaccine containing an actual pandemic strain. â€œAt this point, the company is taking all appropriate steps necessary to prepare for a large-scale vaccine production,â€� said Baxter in a prepared statement. Covance talks about the risks, challenges, and tests required to develop a pandemic vaccine. As of May 7, 22 countries had reported 1516 cases of swine flu, according to the World Health Organization, and multiple companies and governments are working to make vaccines available to the population. Pharmaceutical Technology spoke with Rangappa Ramachandra, program director and lead scientist of immunology services at Covance, about whatâ€™s involved in developing and manufacturing a vaccine as the pandemic progresses. A comprehensive drug-development services company, Covance has been providing immunology services such as R&D and preclinical vaccine testing to pharmaceutical and biopharmaceutical companies since 2005. PharmTech: What is known right now about the prevalent strain of virus? Have many different strains emerged yet, or are vaccine makers working to combat one strain? Ramachandra: The current flu outbreak in humans is caused by a novel H1N1 flu, commonly known as swine flu. There is one strain and no antigen drift [has been] reported in this virus until now. The US Centers for Disease Control and Prevention (CDC) are currently working to create the reference virus strain and it is [to be made] available to vaccine companies by the end of May for vaccine manufacturing. The new strain is a ressortment of four strains of influenza A virus (a new strain of H1N1). CDC reported that the four components include one strain from humans, one strain from birds, and two strains from swine. PharmTech: What key risks and challenges are involved? Ramachandra: After getting the reference virus strain from CDC, vaccine manufacturers [will] follow the technology that is very similar to seasonal and universal flu vaccine development. The pathology of this novel H1N1 virus is unusual in that it targets young individuals and causes severe lung pathology due to over-activation of the immune system and induction of cytokine storm. Key risks and challenges involve demonstrating the safety and efficacy of the vaccine without any pathology in the vaccine recipients. We actually do not know the growing conditions of this virus, or how well this virus grows in eggs or in tissue cultureâ€¦. Covance does, however, have excellent scientific expertise to start these studies in animal models quickly and efficiently to determine immunogenicity and the minimum dosage to induce optimum protection and safety. Other challenges includeâ€¦ making [the vaccines] available to control the pandemic. We will not have enough vaccines to protect the population. In addition, we do not have sufficient vaccine production capacity to make required vaccines to protect everybody. Although antivirals can meet the immediate needs, immunity is the best long-term solution. Currently, vaccines and their manufacturing are attracting increasing investment. PharmTech: Can you walk us briefly through the types of tests required to develop a pandemic flu vaccine and how the time crunch may affect those tests and their results? Quality control: The final drug substance and drug product should be sterile and [include] bulk-containing purified virus surface antigens. The final product should contain only haemaglutinin (HA) and neuraminidase (NA) antigens. A detailed manufacturing process and process control should contain: virus propagation, virus purification and antigen preparation, specification and characterization, batch analysis, bulk- and storage-vessel conditions. Once the drug product preparation is completed, both drug product and finished fill product should be tested for stability. Preclinical testing: The inactivated (killed) purified product, with or without adjuvant, should undergo preclinical testing designed to demonstrate the immunogenicity in mice, rabbits, and ferrets. The efficacy of the vaccine should be demonstrated in a ferret model by challenge exposure. In addition, the vaccine will need to be tested for lack of abnormal immunotoxicity in mouse and guinea pig models. For all adjuvanted or nonadjuvanted vaccines, lack of local or systemic toxicity should be demonstrated in rabbits. Because this virus is known to cause severe lung pathology due to stimulation of robust immune response and cytokine storm, it therefore may be required to show a lack of systemic toxicity in vaccinated animals. These are the minimum preclinical vaccine testing requirements for initiating a Phase I clinical trial. They should be thoroughly planned and executed timely to complete all the preclinical studies. There is no fast track during the preclinical vaccine testing stage (particularly for safety and immunogenicity). Instead, to save time, the above studies need to start simultaneously. This takes proper planning of resources, facilities, technical personal, and contingency planning. And finally, FDAâ€™s CBER will then need to review any IND application under its fast-track guidelines to avoid delay in licensing or releasing the vaccine for public use. PharmTech: In the case of this flu, what type of immune response is optimal? Ramachandra: In general in viral infections, to induce complete protection, we need both humoral (HI) and cell-mediated immune (CMI) responses. A majority of the nonadjuvanted vaccines have a suboptimal efficacy profile, and tend to induce only humoral antibody response against influenza strain, with very low or no cytotoxic T-cell response. Therefore, use of novel adjuvants that induce both B-cell and T-cell in the vaccine formulation is critical to HI and CMI responses for complete protection. The efficacious vaccine should induce sterilization and long-lasting immunity. PharmTech: Are there any particular technologies or techniques that enable the rapid development of a vaccine? Is the vaccine developed in eggs, or cells? Is it a live attenuated vaccine or a killed vaccine? A recombinant vaccine? Ramachandra: Creation of a live attenuated virus is a time-consuming and laborious procedure. Qualification of such live vaccine reference strains per regulatory guidelines takes a long time (1 to 2 years). Therefore, the vaccine should contain a killed (inactivated) virus (either propagated in eggs or cells) or a recombinant vaccineâ€¦. [Because] there are several biotechnology companies actively involved in the development of universal vaccines using recombinant technology, [that] technology may play a major role in the development of efficacious vaccine for this new flu virus H1N1. 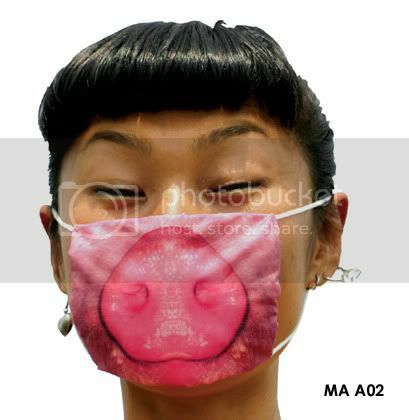 PharmTech: Some reports say we may have a swine flu vaccine in six weeks. What is your best estimate regarding the timetable for a vaccine? Ramachandra: Here we are not talking about a small batch of vaccine; we need millions of doses for the national stockpile to protect the human population. Six weeks is an unrealistic number. In my best estimate, it takes about 8 to 10 months, if vaccine R&D, manufacturing, and final batch release is done as planned. PharmTech: Once a vaccine is produced, how can we be sure of its safety and effectiveness? Looking ahead, how do you create (or attempt to create) a vaccine that covers most of the current strains as well as those likely to arise? Ramachandra: That is a real risk in the flu vaccine businessâ€¦. During passage from human to human, this virus may lose virulence, adapt to humans and not cause any disease. On the other hand, during serial passages in humans, the virus may gain more virulence and become highly pathogenic. In either instance, the virus retains its original anatomy; therefore, vaccines produced against the original wild type, novel H1N1, will still work against high and low virulent viruses. The development of traditional vaccines against flu viruses is always risky due to constant antigen drift and ressortment of the virus in nature. Vaccine candidate antigens, namely haemaglutinin (HA) protein, are highly unstable and prone for drift. The only solution to create a stable universal vaccine is to use highly conserved proteins of the virus such as M2e protein or internal proteins. These proteins are present in low numbers and do not play a major role in viral replication and pathogenesis. One of the weaknesses of the M2e protein is that it is a poor immunogen and does not induce a robust immune response. But its immunogenicity and antigenicity can be increased with novel adjuvants. Such universal vaccines will be highly effective against most seasonal strains as well as new strains. The beauty of such vaccines is that they can be manufactured any time of the year and vaccine companies need not wait for CDC to release reference vaccine flu strains each year. PharmTech: What has Covance learned through its experiences thus far when it comes to developing complex vaccines? 3. Functions that can be readily outsourced to a competent partner including all investigational new drug (IND) enabling studies (e.g., animal model development, safety and efficacy, immunotoxicity and immunogenicity, dose response, and stability and potency). PharmTech: In what ways is Covance helping to develop a swine flu vaccine at this time? Ramachandra: Covance Immunology and Preclinical and Clinical Vaccine testing services are uniquely qualified to design and integrate complex projects with cutting-edge technology, helping to make a quick decision on the success of the projectâ€¦. Our vaccine testing methodology is based on sound scientific expertise, rapid study start, multispecies experience, state-of-the art facilities, study design development, testing, execution, and reporting, all of which are unique for the success of the project. The Covance niche is its scientistsâ€”they have extensive experience in veterinary medicine, vaccinology, immunology, infectious diseases, and immunopathology, in order to deal with complex projects. Our solutions help move one phase of vaccine development to the next to save money and allow instantaneous use of information and technology. 3. Specific pre-IND and IND enabling studies for flu vaccine (in vivo and in vitro). Several vaccine pharmaceutical and biotech companies have approached Covance Immunology Services for vaccine preclinical testing in animal models (mice, rabbits, and ferrets) to evaluate immunogenicity, dose response, safety/immunotoxicity, and potency of the novel H1N1 vaccines. Are they talking about this agreement and this "alternative source antigen" ?? GlaxoSmithKline to Make Unprecedented Vaccine Donation to WHO Pandemic Flu Stockpile. PHILADELPHIA, June 13 /PRNewswire-FirstCall/ -- GlaxoSmithKline today announced its intention to donate 50 million doses of H5N1 adjuvanted pre-pandemic influenza vaccine to the World Health Organization (WHO) in support of its stockpile initiative. The donation will help establish a much needed stockpile of pre-pandemic vaccines that can be distributed to the world's poorest countries at short notice by the WHO. Delivered over a three-year period, it will provide enough doses of vaccine for 25 million people at 2 injections per person. THIS NEEDS TO GO VIRAL RIGHT NOW.